Read Extremely to Celebrate World Book Day! 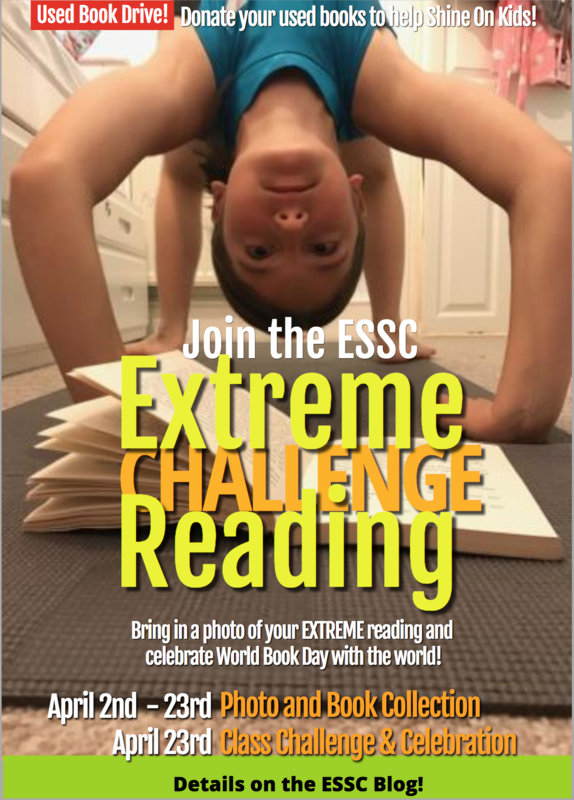 Celebrate World Book Day by joining the ESSC “Extreme Reading Challenge” and “Book Drive”! We dare you to share a photo of yourself reading a book in an unusual (but safe) way. How: Put your printed “L” size (89mm x 127mm) photo into the photo box by the ESSC bulletin board from April 2nd – 23rd. Photos will be displayed in the Elementary hallway. We encourage you to donate used books to help Shine On Kids. Shine On Kids supports children with serious illnesses. 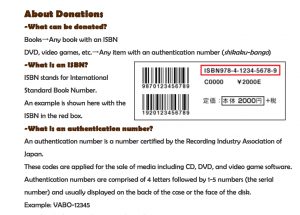 How: Put used books into the collection box by the ESSC bulletin board from April 2nd -23rd. On April 23rd, celebrate books with your class! How: Ask your teacher to help you take an “Extreme Reading Challenge” photo with your WHOLE class! Be creative! Can you and your teacher come up with other ways to celebrate?! Awesome, but don’t forget the challenge photos! Have your teacher email your class Extreme Reading Photo to ESSC. 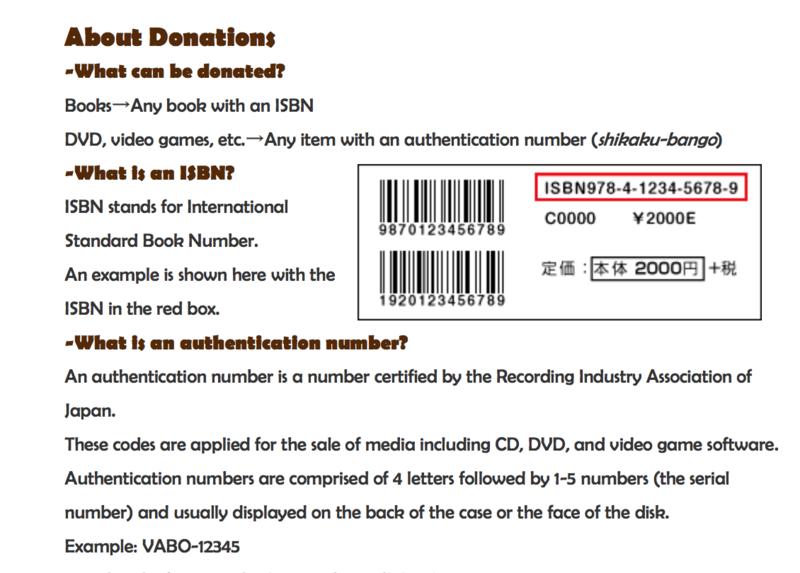 Click here to see how your donation helps! Posted on April 5, 2018 by 2n	• Bookmark the permalink.